Nestled in Marlborough’s famous Waihopai Valley, our vineyard is watched over by the northern tip of the Southern Alps. 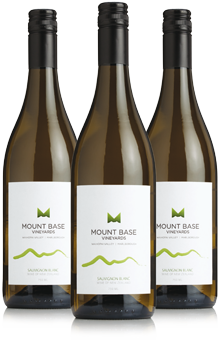 Planted on rare, glacial-formed soils, Mount Base specialised in growing award winning delicious Sauvignon Blanc. It explodes with passion fruit, citrus and capsicum characters. It is refreshing, vibrant and delicious! Mount Base was founded by a bunch of life-loving friends with a shared passion for great wine!